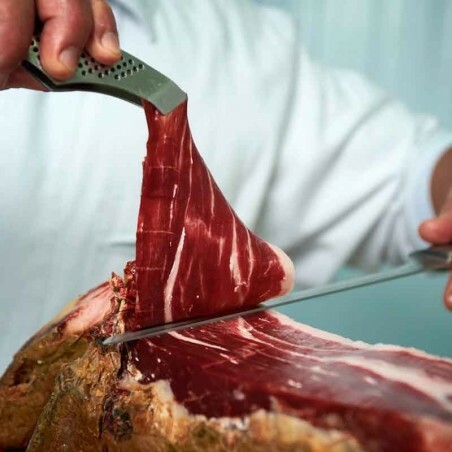 A piece of Jamón Pata Negra selected with expertise by our Jamón experts from all origins, identified with the black label that certifies the purity of the pig breed. The pieces called Selection of Enrique Tomás are pieces at their best point of dry-curing, ready to enjoy all their flavour with the quality that can only offer those professionals who know more about Jamón in the world. Origin: Selected quality/price of all the Jamón Bellota Iberico of the peninsula.